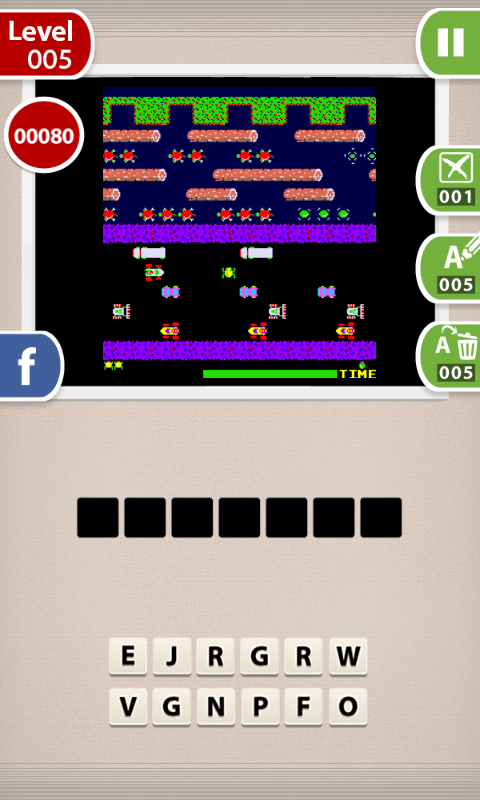 Guess the Retro Game: Arcade Edition (GRG:Arcade for short) is a game where you test your arcade gaming skills! 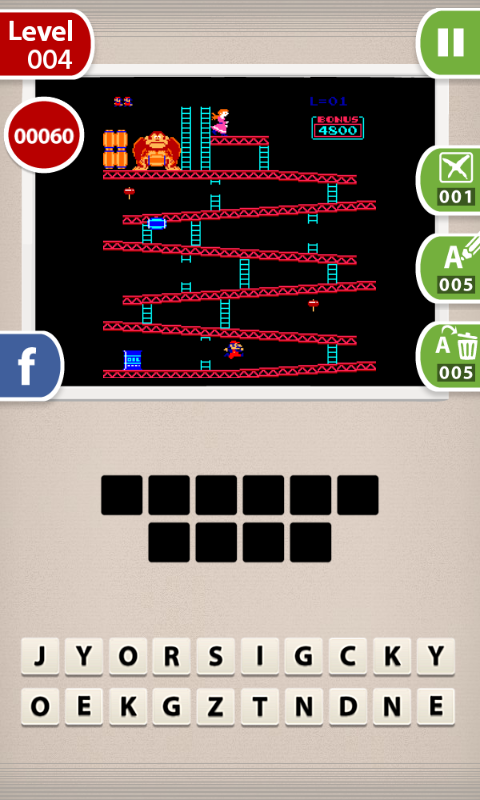 Can you identify the classics from the 80s, from the 90s? 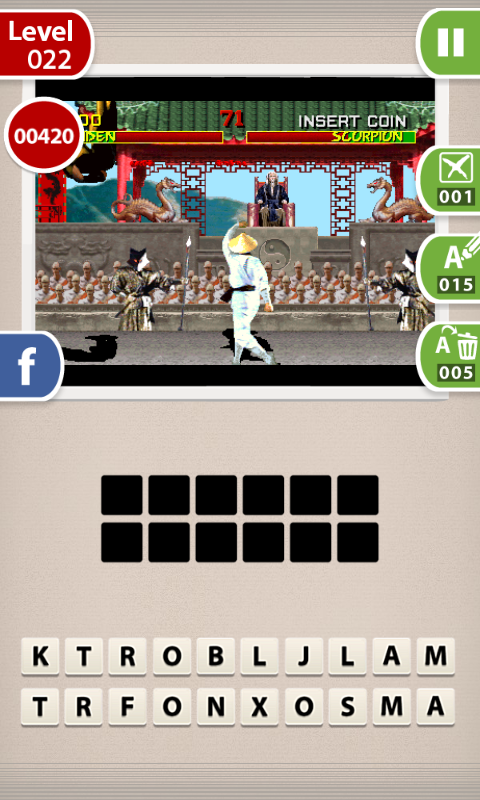 The game is pretty simple: you see a screenshot from an arcade game, and you need to write it's name. If you guess it correctly, you advance to the next level. 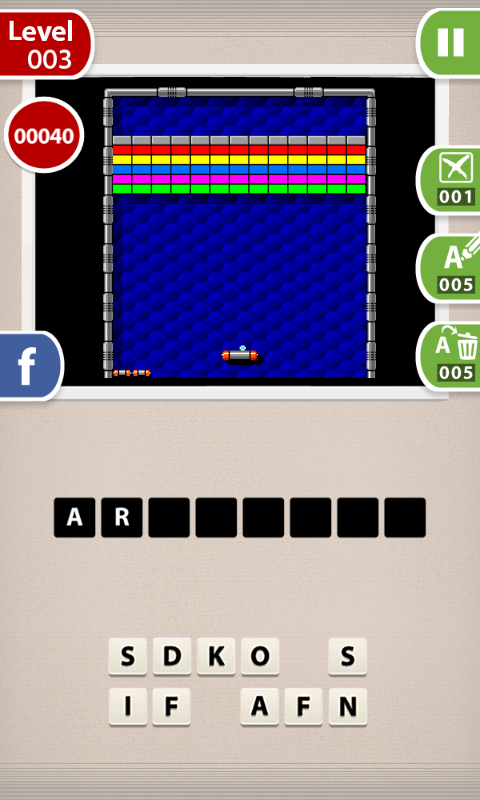 If you get stuck, you can always touch the image to see if zoomed in, you can remove unused letters or reveal letters from the answer - and as a last resource, you can skip the level if you want to! So, are you ready for this challenge? Insert a coin and start playing! The game interface is in English, Portuguese, German, French and Spanish!